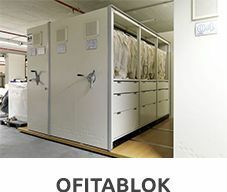 A high-performance filing solution to optimise office space. 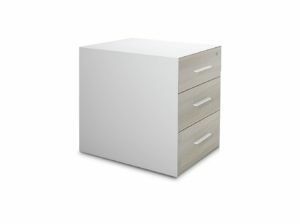 The range offers a high degree of versatility with its versions for personal filing: rolling blocks, with three drawers or a drawer and a filing tray. 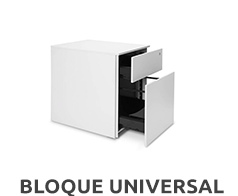 The block includes a lock with an interchangeable barrel, a hinged key, a drawer lock equipped with a locking system that prevents the simultaneous opening of more than one drawer at a time and a fifth wheel in models with a filing tray for hanging folders. 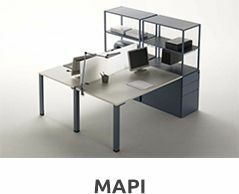 It increases its performance with optional organisation accessories such as carrier trays or pans, for example. Its quality and safety are certified.